Prof. Durg Singh Chauhan former Vice-Chancellor, Uttar Pradesh Technical University, Uttrakhand Technical University, Lovely Professional University, Jaypee University of Information Technology and Secretary General Association of Indian University and presently Vice-Chancellor, GLA University has his post doctoral work at Goddard Space Flight Centre, Greenbelt Maryland, USA and alumnus of B.H.U., N.I.T.., Tiruchirapalli, and IIT, Delhi. He served at Banaras Hindu University since 1979 till April, 2013 as Assistant Professor to Professor and served as Director, KNIT, Sultanpur. 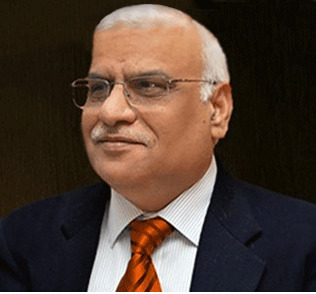 He is Member of AICTE (Council) and has been member, University Grants Commission; all the universities he has served brought them at international scene by his specific contributions. Besides many other contributions, the social service was his mission throughout his life and engaged in upliftment of tribal areas specifically since three decades. He has been admired for his number of contributions in society. Best Engineer Award by Institution of Engineers, Lucknow (2001). He has produced 32 Ph.D. including 2 D.Sc. and 175 research papers published in International Journals and National Journals and Conferences. Chairman, Advisory Committee of 4 Deemed Universities. Jointly, authored 4 books and 100 articles published in technical magazines and news papers. He has been member for IIT/NIT Council, Govt. of India. Member Search Committee of half dozen universities of various States. Member IEEE, FIE (Institution of Engineers, India), Life Member, ISTE, Member ACM, Member SIAM, Academic of International Bodies.